Logan James Seim, age 11, of Shadehill, SD, passed away at home, on Saturday, October 14, 2017 near Shadehill. A picnic honoring his life was held at 1 p.m. at the Seim Cemetery south of White Butte, SD. An outdoor funeral service and burial in the Seim Cemetery followed with Rev. Tera Kossow officiating. A procession for the picnic and services left from the Evanson Jensen Funeral Home in Lemmon at 12 noon on Friday, October 20, 2017. 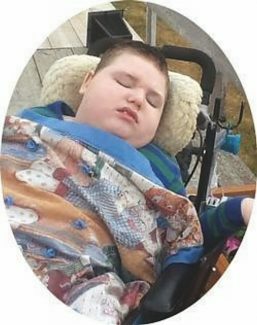 Logan is survived by his father and step-mother, Nolan and Teresa Seim; brother, Ronny Nehl; sisters, Sarah (Larry) Dreiske, Kathy (Ole) Herland, Jasmine Weasel and Megan Nehl; four cousins, Spencer and McKenna Rae Dreiske and Olivia and Finely Herland; and numerous aunts, uncles and extended family. Logan was preceded in death by his mother, Linda Marie Seim; and cousin, Brenna Gene Dreiske.